Noctuary party series present Vol. 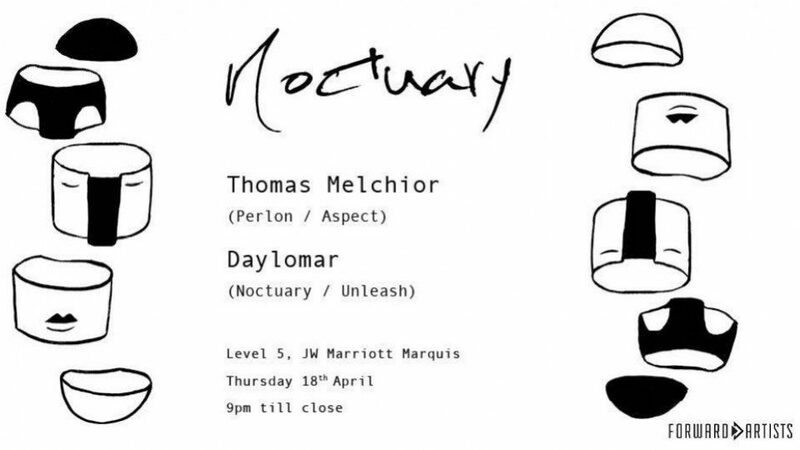 VII with Thomas Melchior and Daylomar on April 18 at the JW Marriott Marquis Dubai Hotel. As Melchior Productions, Thomas Melchior became one of the pillars of the minimal house movement on Perlon. An ex-resident DJ at Ibiza’s Circoloco at DC 10 and member of Villalobos’ Narod Niki, Melchior‘s work also includes collaborations with Luciano, Ricardo Villalobos, Bruno Pronsato, Thomas Franzmann aka Zip and Fumiya Tanaka. He remains one of the undergrounds true visionaries. Daylomar has been the driving force behind the reputable Unleash London parties in London where he holds a residency to this day. He also runs the label Unleash Records. Tickets price – AED 100 (cash only).